Bitarcher Limited allegedly not only is mining cryptocurrencies, but also trading them on exchanges. The company offers three investment plans with up 10% returns per day for 60 days. It means 300% per month. Is it possible? No, it is not possible to make 300% in cryptocurrencies mining nor in any other legitimate business activity. Currently crypto mining is barely profitable, because prices of cryptocurrencies are low and mining costs are high. That’s just the way it is. But even when the prices were at their all time highs, it was not possible to triple your money every month in mining. 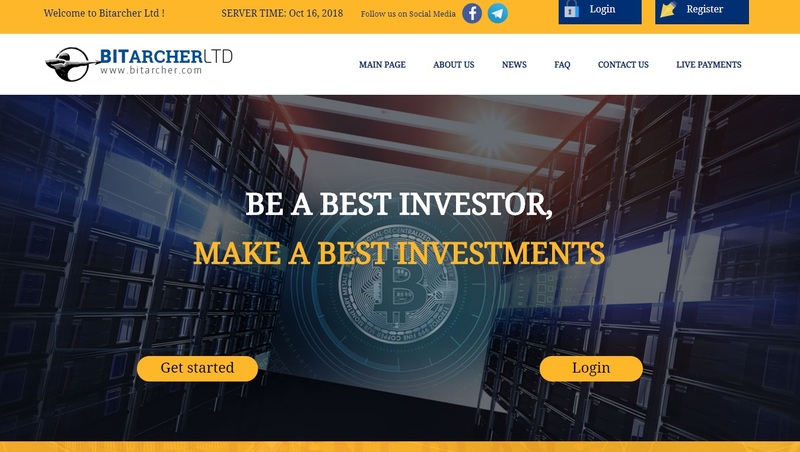 Bitarcher simply is a scam that is not doing any mining, just playing an illegal financial game and maybe redistributing some of the collected money via a Ponzi scheme. While Bit Archer is registered as a company in the UK, the registration is only a few weeks old. The main thing is that Bitarcher is not authorized to provide investment services, it has no licence from the Financial Conduct Authority, see our picture. This means that Bit Archer is acting illegally. Bitarcher is a typical scam that will collect money from innocent investors and collapse quickly because of the scheme it is based on. Stay away from it! If you want to try genuine crypto trading to make money, start on a free demo account with a regulated broker. Use the demo to learn trading and to decide whether it is something you could succeed in.